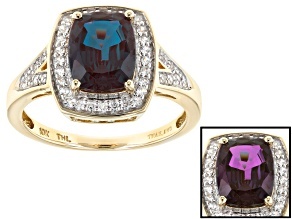 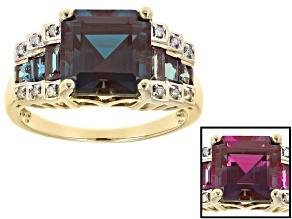 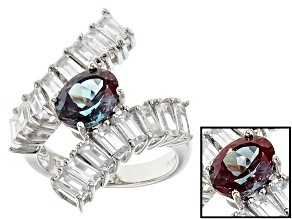 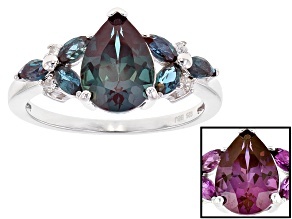 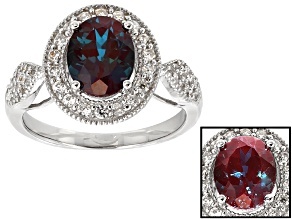 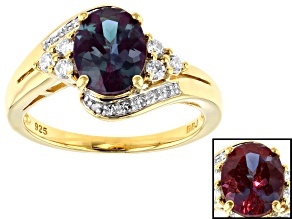 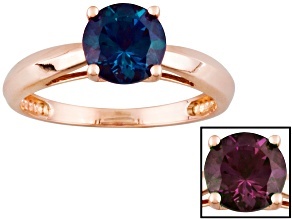 Color Change Lab Created Alexandrite 14k Rose Gold Ring 1.66ct. 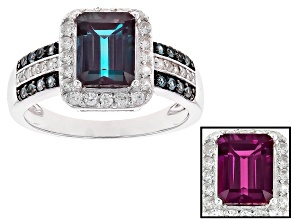 If you're looking for a piece of jewelry that's an emerald by day and a ruby by night, look no further than JTV's alexandrite rings. 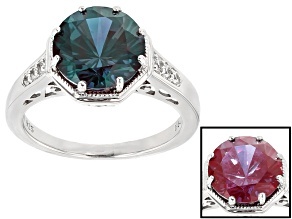 Though appearing to be a lively and vibrant green in direct sunlight, alexandrite rings turn a very romantic red in incandescent lamplight, giving the world a truly exquisite mood ring. 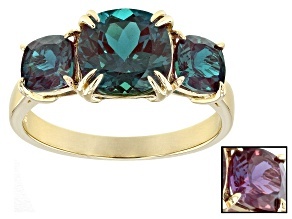 Alexandrite is a very rare form of the mineral chrysoberyl and generally refers to any color-changing form of chrysoberyl. 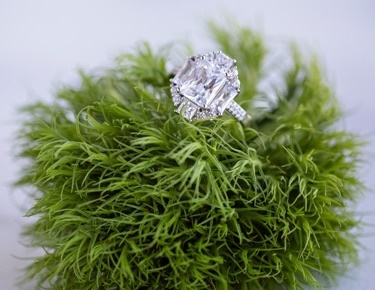 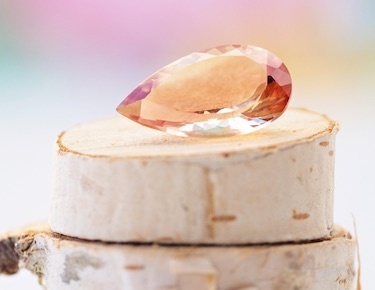 This magical little gem takes its name after Czar Alexander II of Russia, where it was discovered in 1830 in Russia's Ural Mountains. 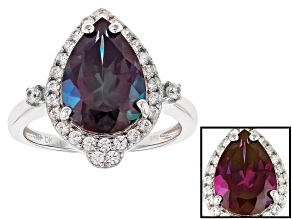 These days, natural alexandrite is mainly found in East Africa, Sri Lanka and Brazil making it quite rare and sought-after. 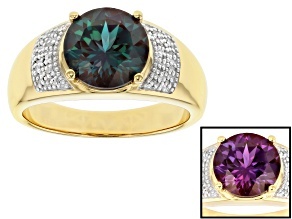 Lab-created alexandrite can be produced in a variety of different kaleidoscopic color schemes, and JTV offers alexandrite rings for women in blue and purple in a variety of styles like animal, band, bypass, cluster halo, solitaire and more. 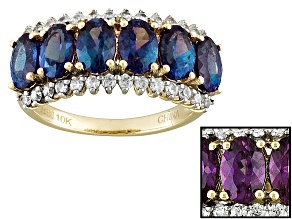 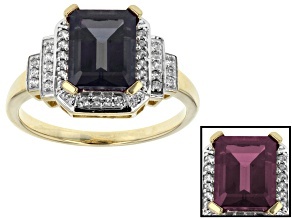 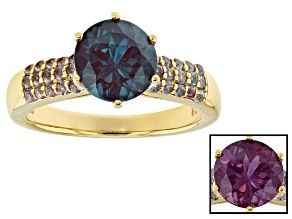 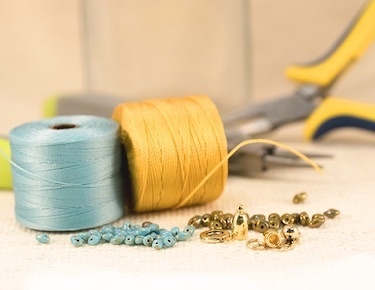 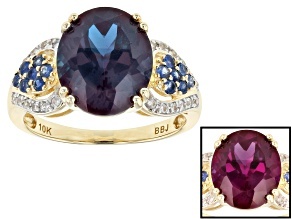 All of JTV's alexandrite rings come in beautiful gold, whether yellow, rose or white. 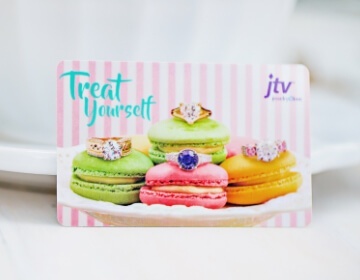 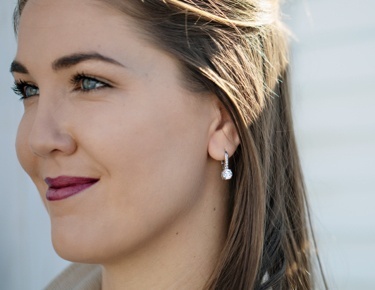 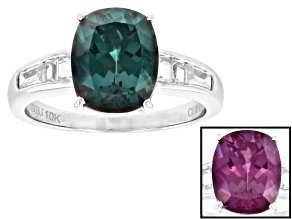 Check out JTV's other great alexandrite jewelry options like alexandrite earrings and alexandrite necklaces, or enjoy these gorgeously colorful loose alexandrite stones. 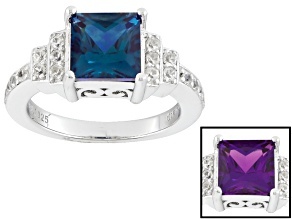 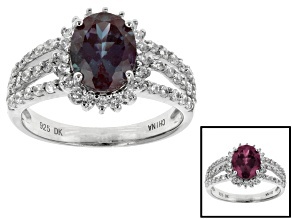 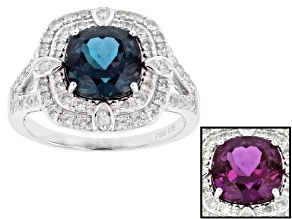 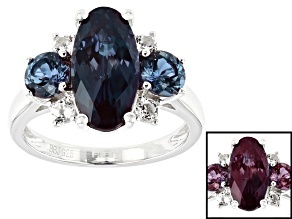 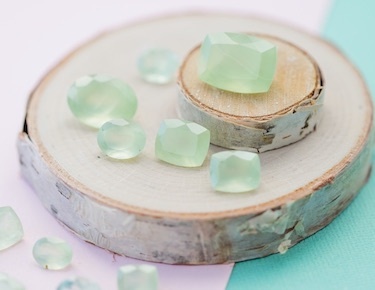 Alexandrite is the birth stone for June, making alexandrite rings the perfect gift for the Gemini in your life. 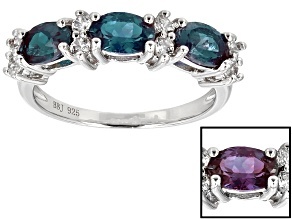 Alexandrite is also the traditional gem for the 55th wedding anniversary, making it a great gift for those halfway between their Golden and Diamond anniversaries. 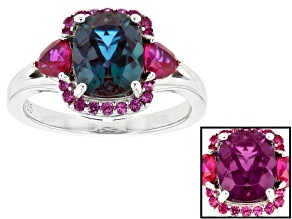 No matter the occasion, you can't go wrong with a ring starring these chameleons of the gemstone world.